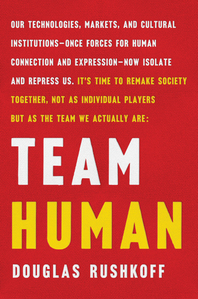 Team Human is a manifesto—a fiery distillation of preeminent digital theorist Douglas Rushkoff’s most urgent thoughts on civilization and human nature. 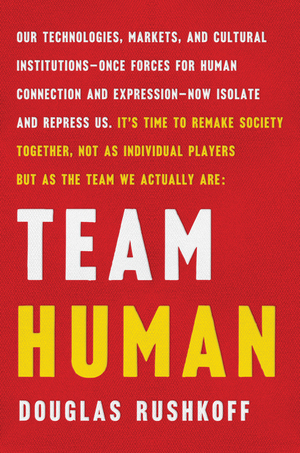 In one hundred lean and incisive statements, he argues that we are essentially social creatures, and that we achieve our greatest aspirations when we work together—not as individuals. Yet today society is threatened by a vast antihuman infrastructure that undermines our ability to connect. Money, once a means of exchange, is now a means of exploitation; education, conceived as way to elevate the working class, has become another assembly line; and the internet has only further divided us into increasingly atomized and radicalized groups.